Based in Pittsburgh, Catalyst Connection is a not-for-profit organization that provides training and consulting services to small manufacturers in the region. 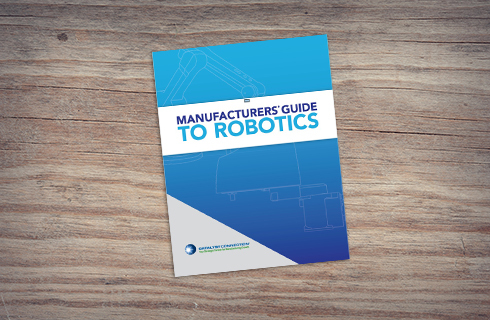 They came to Prime for a booklet to educate manufacturers on available robotics technology. Our design is clean and easy to read, and includes custom illustrations for each industry segment. Kenway Composites manufactures a broad range of fiberglass and composite tanks, pipes, towers, drains, and specialty molded items for a broad variety of industries. They came to Prime for a general capabilities booklet, along with sales sheets for each of the company’s eight divisions. Prime responded with a professional, clean design that can be turned over to Kenway’s internal marketing department for ongoing updates to copy and photography as the need arises. 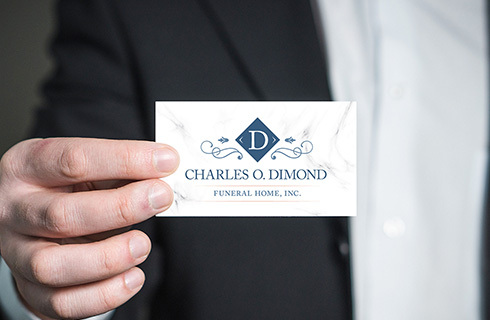 Charles O. Dimond Funeral Home of South Fork, PA came to Prime for a corporate identity. The logo we developed made use of a diamond shape, and conveys the subdued dignity appropriate for a funeral home. The package included a logo and business cards. 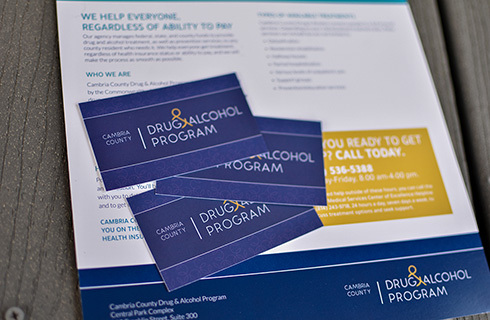 Cambria County Drug & Alcohol Program works to connect county residents struggling with drugs and alcohol with treatment programs, regardless of ability to pay. They came to Prime for a logo design and print materials to help spread the word about what they offer. We created a type logo and a card featuring the program’s hotline. Finally, we wrote and designed a trifold brochure that explains warmly and directly how the program works, encouraging people to call. The colors are welcoming, yet suitable for a municipal authority — while organic shapes and designs throughout the materials suggest new growth and positive change. 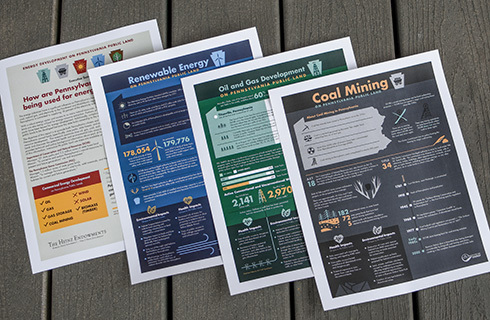 St. Francis University’s Institute for Energy needed informative infographics to clearly explain a complex topic – how Pennsylvania’s public lands (state parks, state forests, and state game lands) are being used for energy development. The infographics summarize the health and environmental risks associated with each kind of development, and technical and policy background information about each. Statistics and timelines are presented in a clear, easy-to-understand way. Prime has completed the annual report for Johnstown Area Regional Industries (JARI) every year since 2010. Each year we work with JARI to develop a theme and topic list; write the articles about the economic development organization’s varied activities, including completing interviews with stakeholders; take custom photography to illustrate the articles and the cover; and design the entire piece. Somerset Hospital is an independent hospital located in Somerset County. 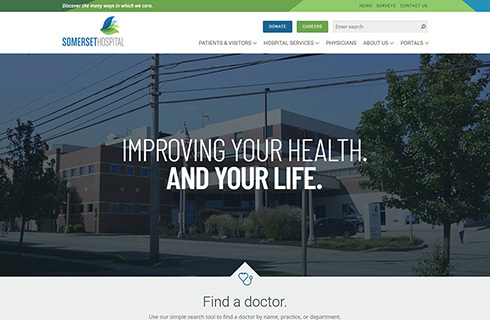 The hospital came to Prime for a new website to better serve their community. The content-rich site is easy to use and navigate, organizing a large amount of information. It includes our custom photography and a searchable physician page. Easily customizable callouts enable the hospital to highlight important information, such as phone numbers. 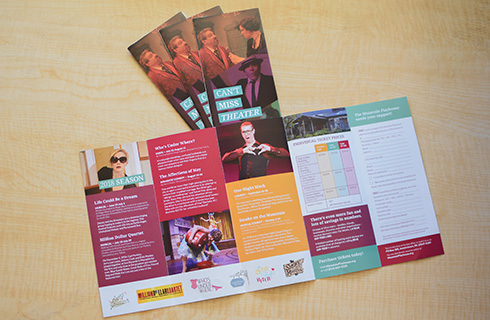 Mountain Playhouse came to Prime for help with a variety of marketing initiatives. The playhouse’s website and e-newsletter were not compatible with mobile devices, so we created a new, responsive template website that integrates with the playhouse’s ticketing system, as well as a responsive e-newsletter template. The playhouse had plenty of show photography, but needed our custom photography for photos of the beautiful grounds, and of audiences enjoying a show. We also created show logos for much of the 2018 season. Using the logos and the photography, we created a group marketing brochure and a season brochure to market the 2018 season. 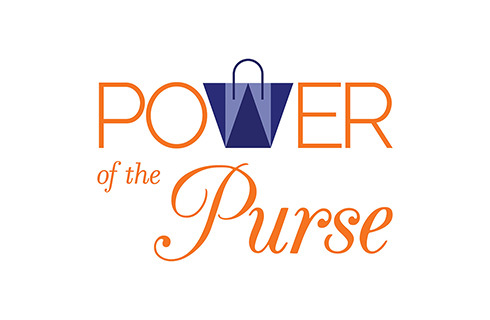 The United Way of the Laurel Highlands came to Prime for a logo for a major annual fundraiser, Power of the Purse, which involves a raffle of more than 100 designer purses. They needed a logo that appeals to women, without being dainty or cute, and helps convey the importance of the event and the causes it supports. The resulting design, which includes a bag as the “W,” is feminine yet powerful, with a gender neutral color scheme. It resizes well and works in a wide variety of environments, including print and digital. 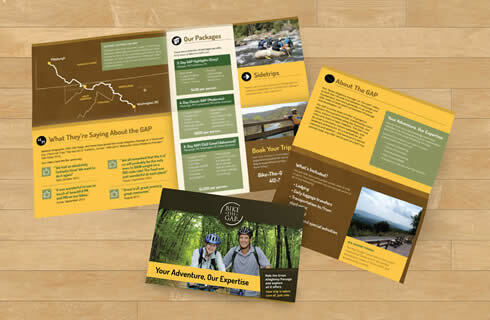 A Prime client, Bike the GAP, came to us needing to rebrand their company, having broadened their services beyond offering bicycling trips on the Great Allegheny Passage (or GAP) to include other trails. 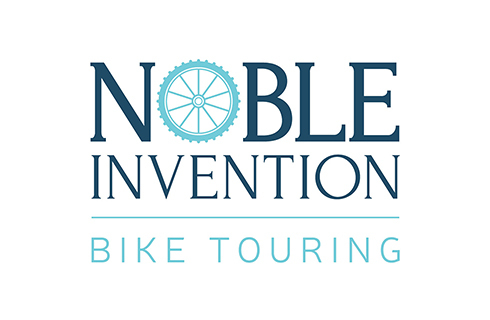 The logo we designed evokes a classic feel, with a bicycle wheel — helping make it clear that the company is about bicycling, not motorcycling. In addition, we designed a custom website that makes it easy for the company to add more tours, including tour maps, as its offerings expand. Each trip page is designed to effectively convey a great deal of information, including itinerary, price, bike rental, trail details, photos, and even customer reviews. 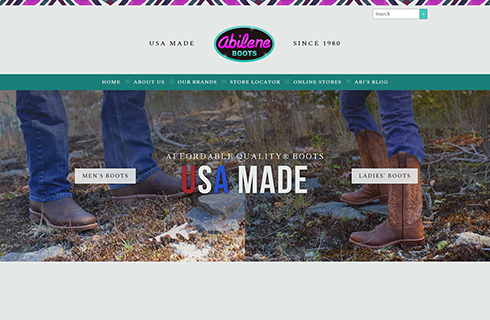 Based in Pennsylvania, Abilene Boots is one of the few western boot brands still exclusively made in the USA. 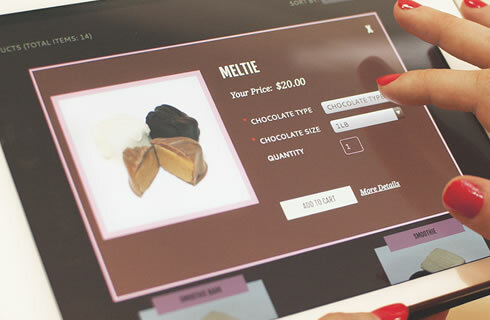 Abilene came to us for a custom website that enables hundreds of registered Abilene retailers to easily place wholesale orders online. 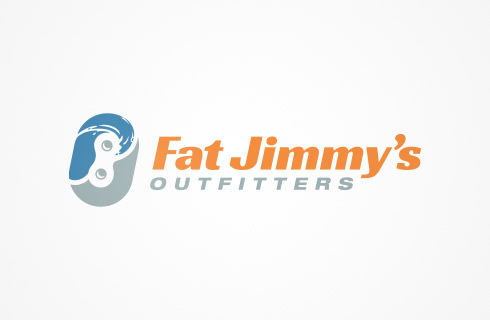 The site showcases all their boot designs and brands to consumers as well, and provides links to online retailers and a retail store locator based on ZIP code. Progressive Supranuclear Palsy (PSP) is a neurodegenerative disease that has no known cause, treatment, or cure. 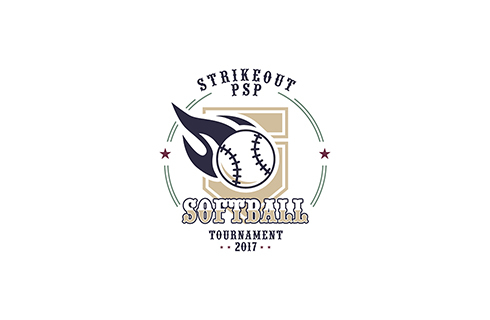 A volunteer for CurePSP came to us for a logo for “Strikeout PSP,” a fundraising softball tournament she was organizing. Her dad, a former fast-pitch softball player, was affected by PSP — and his pitcher nickname had been “Smokin’ Joe,” so she envisioned a flame as part of the image. Inspired by minor-league baseball logos, the resulting all-American design includes the event name and the flame element, and was used on social media, print materials, the tournament website, and T-shirts. 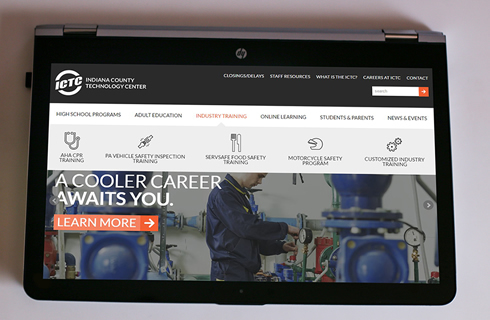 The Indiana County Technology Center needed a new, responsive website. We created a custom website designed to be easy to use and navigate, featuring custom icons, color-coding for different programs and sections, and a special overlay that can be turned on if the school needs to convey a vitally important announcement (such as a weather-related campus closure). Prime worked with an application developer at Lumax, analyzing the interface’s Bootstrap template code to determine how to make it more user-friendly and aesthetically pleasing. Our modifications result in an attractive, modern-looking interface that is easy and pleasant to use. 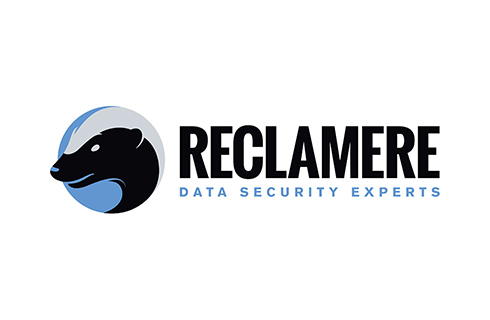 Reclamere, a data security firm, came to us for a new corporate identity. They wanted to use the honey badger as part of the mark, representing the firm’s persistence and thoroughness in protecting its customers’ IT security. In addition, the firm wanted a logo in 2016 to mark its 15-year anniversary in business. 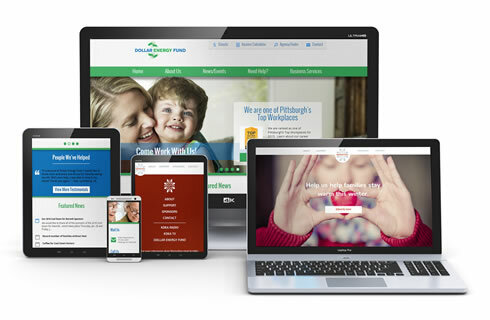 Pittsburgh-based Some Tech Company partnered with Prime Design Solutions for their website redesign. Prime’s design team created an interface that was developed into a functioning website by Some Tech Company’s development team. Prime also created a messaging strategy for the new site and optimized their social media presence across all channels. Goldblatt Systems is a healthcare and life sciences technology company, headquartered in Tucson, AZ. 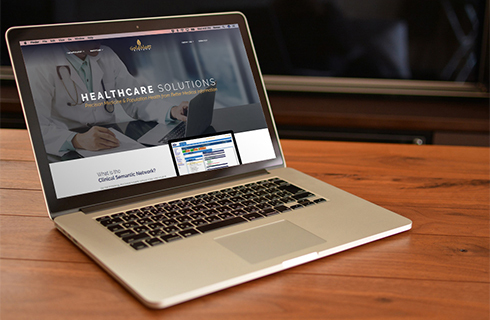 They came to Prime for a new website in order to promote their Clinical Semantic Network technology. 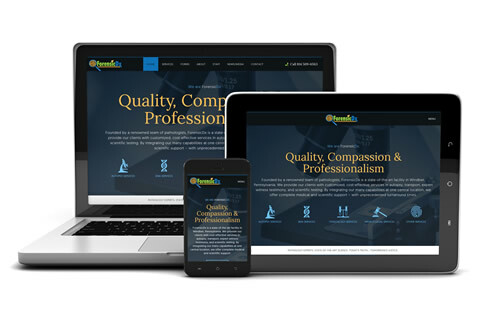 This custom-designed website, powered by WordPress is the result. 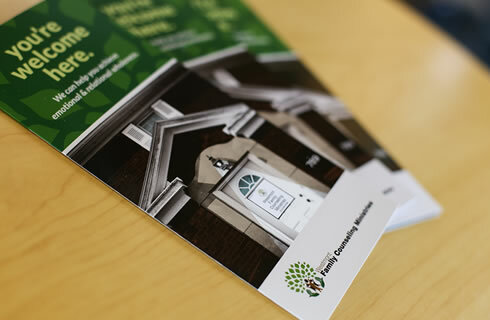 Grandview Cemetery came to Prime to get a fresh look for their history brochure and rules & regulations booklet. 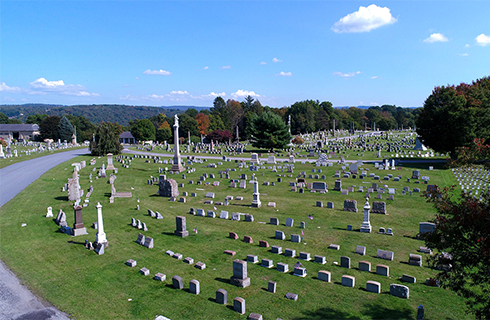 We also did an on-site photo session, including drone photography, to capture images to be used in the print materials and in future print and web campaigns. Westmont Family Counseling Ministries is a group of licensed and professional counselors that provide counseling services to families and individuals in various counties across the region. Using quality images from an on-site shoot at their facility, we designed a custom, tri-fold brochure to showcase their staff and services, as well as the building itself. 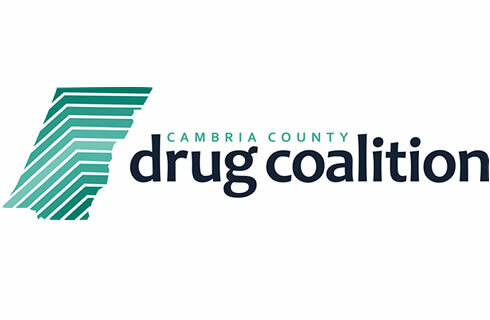 The Cambria County Drug Coalition is a newly formed organization in our community that works to reduce and ultimately eliminate overdose deaths and illegal drug use, expand prevention efforts, address treatment options and reduce crime. As a local business and supporter of the Coalition’s mission and goals, we were pleased to offer our design services as our contribution to the organization’s success. We provided the Coalition with branding and identity in the form of a new logo and business cards, informational rack cards, flyers, posters, and custom photography of Cambria County to be used in the website and print pieces as well. Spherion is an nationwide staffing company with more than 150 locally-owned offices. 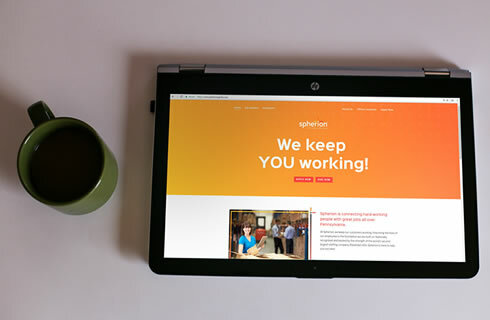 Spherion Pennsylvania came to Prime for a new website and email system. 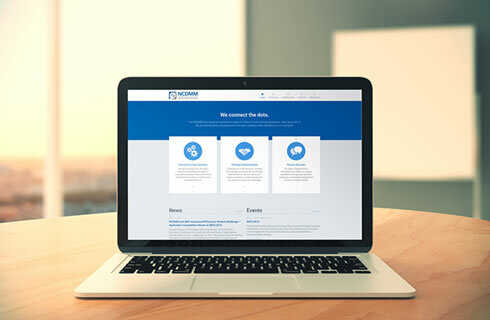 We developed a custom site with an extensive application form to allow the company to gather detailed information from job-seekers, as well as a contact form for potential employers. Pennsylvania Highlands Community College asked Prime to design their “viewbook,” or college catalog. The piece conforms to PHCC’s established graphic identity and presents the college’s offerings in a visually compelling way. Later, we also were asked to redesign the Penn Highlands website. The website is notable for its size — over 300 pages — and amount of information it conveys. Social media streams, an events calendar, and a blog are prominently featured. We designed the interface to be particularly user-friendly, so that it’s easy for administrators to add features like tabs, accordions, and callouts. The 1889 Foundation relies on Prime Design Solutions for marketing and public relations strategy and support, including an annual marketing plan. As part of that plan, we design print pieces as needed, to support fundraisers like a golf scramble or the Chef Auction, as well as their annual appeal and newsletter. We also designed an attractive sign system for the exterior of their office building. We have assisted with writing of press releases, as well as photography of special events such as press conferences. In the digital world, we have implemented a template website, created a custom, responsive e-newsletter, and provide social media support. 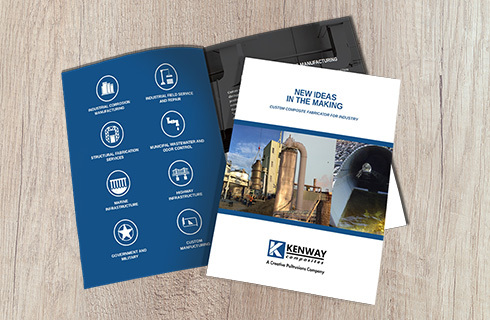 This matching folder and brochure for Keller Engineers provides the firm with sleek, professional presentation materials that can be customized by the addition of a proposal or other project-specific materials. The booklet is color-coded by service and includes engineering schematics as design elements. Prime also provided copywriting services for this project. 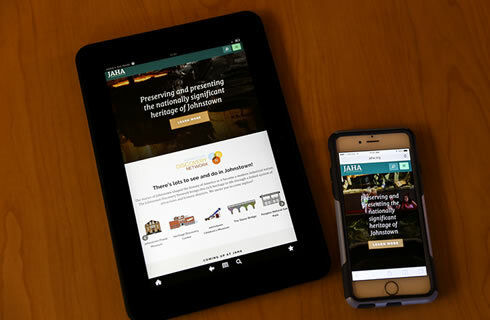 The Johnstown Area Heritage Association (JAHA) came to Prime for a website that would effectively organize a large amount of information. JAHA owns and operates museums and attractions, but also works toward economic revitalization of the area through preservation and other projects. The resulting site uses megamenus and a prominent search function to help visitors find what they need. The photo on the home page changes every time a visitor hits refresh, underscoring the breadth of the organization’s mission. Sliders showcase museum exhibits and archival materials, and each attraction gets its own “mini-site.” A special events calendar includes events and museum hours, and social media feeds are featured. Founded in 1933, the IUP Student Co-op collects student activity fees, runs the student bookstore, provides financial assistance for a wide range of extracurricular activities, and maintains the student activity center and recreational park. We developed a website for the organization that cleanly organizes and presents a wide array of information about their services and facilities, and is easy to update and maintain. Special features of the site include customized social media feeds and sliders for photos. 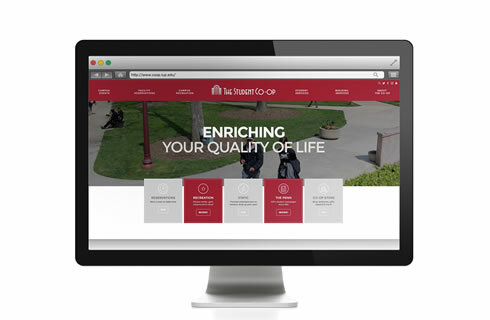 The site links to other IUP sites to present and coordinate relevant campus information. 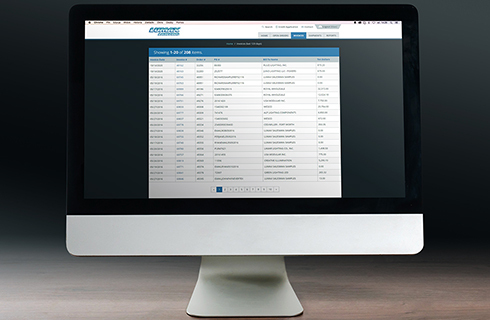 The National Center for Defense Manufacturing & Machining came to Prime Design Solutions for a custom website that effectively organizes a large amount of information, most of it text. The resulting website is clean, inviting, and easy to navigate. Special features include custom-illustrated icons, as well as a page on NCDMM’s large team that spotlights their qualifications. 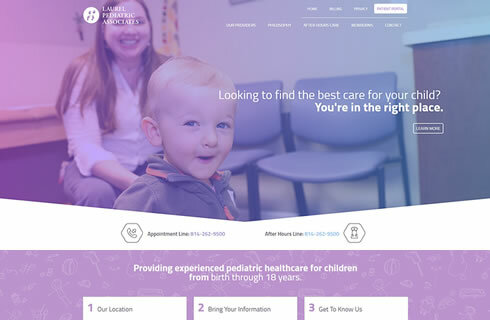 Laurel Pediatrics came to Prime Design Solutions for a custom, responsive website designed to appeal to families. Our fresh, modern design features warm colors and custom photography of the care providers at work with their patients. The site has an inviting, personal feel to draw viewers in and encourage them to get to know the care providers. We also provided Laurel Pediatrics with promotional brochures and circulars to promote their newborn classes for parents-to-be. The brochure features custom photography of the building and portraits of the providers leading the class. MolecularDx is a clinical and forensic laboratory offering a range of services. 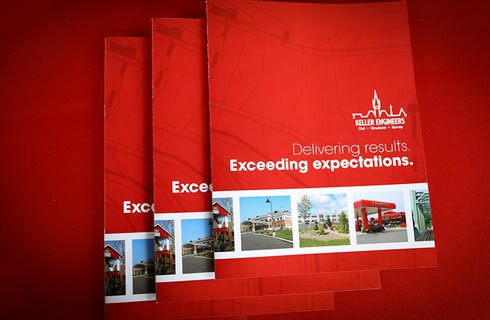 We were able to help promote their services by creating a custom website and printed brochures. The custom, user-friendly website looks and works great on mobile devices and showcases our hand-illustrated set of icons, as well as custom photography for the staff portraits and laboratory photos. This website was built in a content management system that’s easy to update and maintain. Bedford Candies has offered hand-crafted chocolate since 1929. As the business grew under a new owner, the existing website became inadequate. We worked with Bedford Candies to develop a new corporate identity, website with e-commerce, and e-newsletter, and trained them in photography so they can better spotlight new products in their marketing. 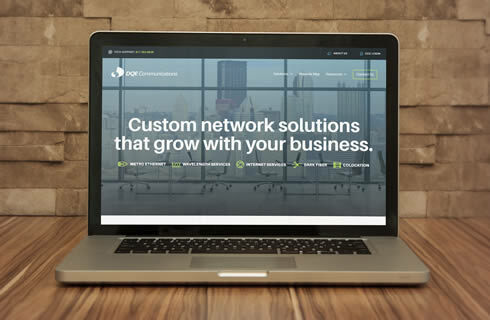 DQE Communications is a network services provider based in Pittsburgh. 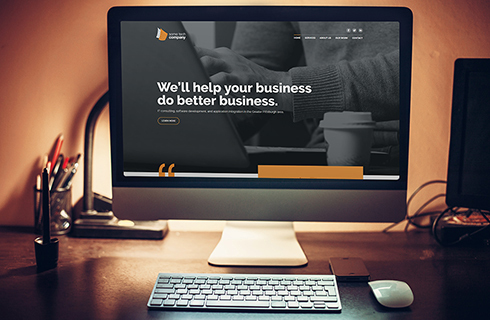 They came to Prime Design Solutions for a custom website that would effectively showcase their services. Important features of the resulting website include a clean, high-tech look with custom icons, and most importantly, an interactive map that allows potential customers to determine if they’re covered by DQE’s network. 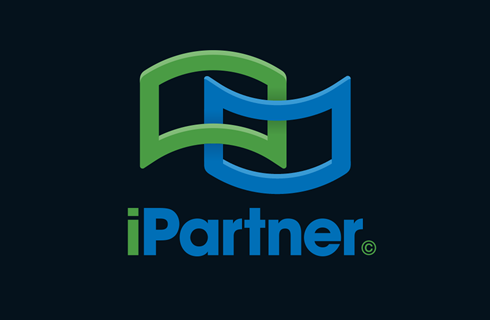 We also integrated the site’s contact forms with their CRM (customer relationship management) software. 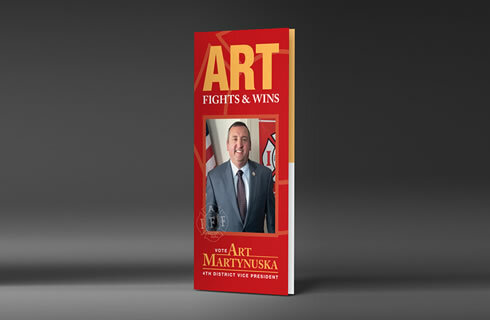 This simple, striking brochure promotes the candidacy of Art Martynuska for union office. Its bright blocks of color present Mr. Martynuska’s qualifications clearly and attractively. 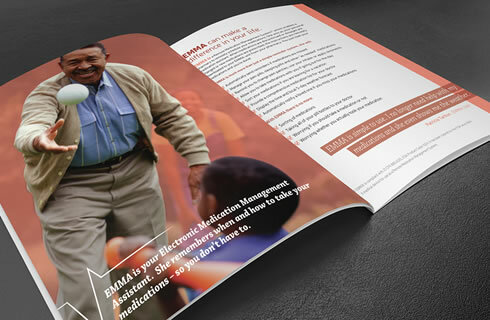 The brochure has a modern, updated look, presenting Mr. Martynuska as a bold, forward-thinking leader. INRange Systems makes the only FDA-approved remote medication management system, which they call EMMA. INRange came to us for promotional materials that effectively illustrate how EMMA can be used in different care settings. We responded with a responsive website that features a full page fluid layout, an interactive diagram of EMMA, and a video header. 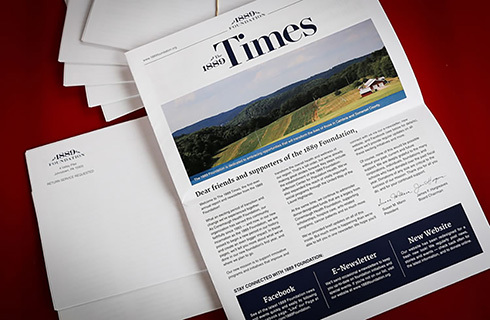 In addition, we developed print collateral for different audiences — patients and their families, hospitals and pharmacists, and long-term care facilities — as well as tradeshow materials and direct mail. Our custom product photography was used throughout all the projects. Dollar Energy Fund is a non-profit that helps low-income people afford their energy bills. 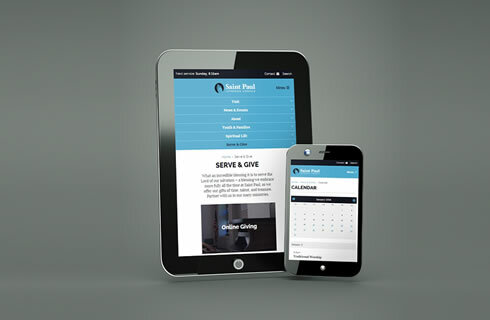 They came to Prime Design Solutions for a responsive website that would effectively reach donors and potential clients. We responded with a responsive, custom site designed to complement the Dollar Energy logo. Special features include an income calculator to help potential clients know if they will qualify for assistance, as well as a donor portal so that patrons can donate securely online. An Agency Finder helps connect people who need help with agencies that can provide assistance with food, clothing, healthcare and more. Since the site’s completion, Dollar Energy has continued to rely on us for a wide variety of design and website needs, including a mini-site to promote the Warmathon. We developed a responsive website for St. Paul Trinity Lutheran Church of York, PA that provides clear navigation for non-members and members alike to find what they’re looking for. A custom-developed calendar of events is among the site’s special features. Finally, the WordPress content management system makes it easy for the site to be updated with the latest events, sermons, downloads, newsletters, and other information. Wayfinding Pro is a software solution that quickly and affordably creates custom digital wayfinding systems that can be accessed on desktop computers, kiosks, and mobile phones to help people find their way around large facilities such as hospitals, campuses, airports, convention centers and more. They came to us for a website that effectively demonstrates how the product works, and how it can be utilized in different settings by programmers, businesses, and digital content providers. We created a mobile-friendly website that includes demonstration videos we produced in-house, and allows users to register for a free trial. 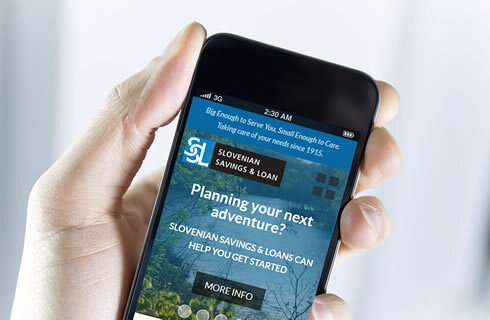 Founded in Johnstown in 1915, Slovenian Savings & Loan is a local bank that is “big enough to serve you, small enough to care.” They came to us for a new website that reflected these values. 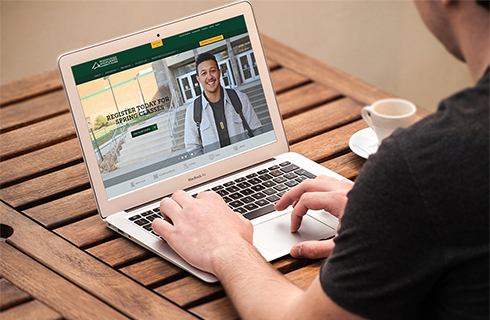 The custom, user-friendly website we designed looks and works great on mobile devices, and includes a content management system for easy updating. We shot several local photographs for use on the site, while our custom-illustrated set of icons helps users find what they’re looking for. ForensicDx is an innovative Johnstown company that performs autopsy, tissue procurement, toxicology and molecular DNA lab services. 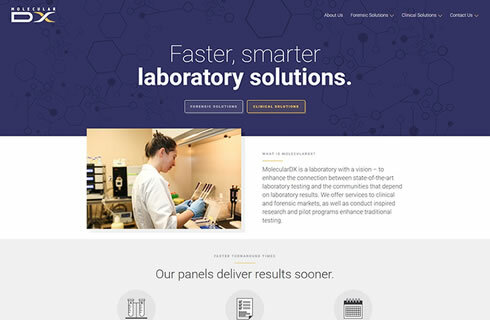 They needed a website that matched the skill and precision of their forensic pathology work. To accomplish this, we created a flexible, professional website layout that features custom-designed icons to represent each of the company’s areas of expertise. The site is further illustrated using our on-site photography, which included both staff portraits and shots of their state-of-the-art facility. 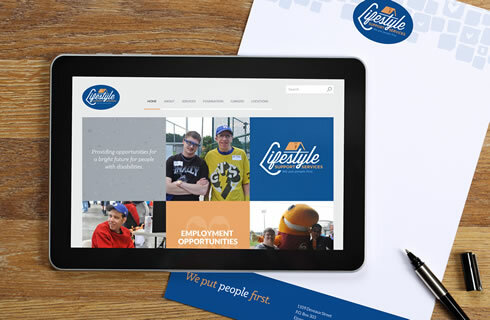 Lifestyle Support Services is a human services organization that provides people with developmental disabilities with opportunities for learning, living, working and socializing. Their mission is all about the people, so their marketing needed to be, too. The newly-designed logo utilizes a friendly script font, with a bit of our own customization to give it a personalized feel. Our cohesive print and web designs feature candid photos of their clients in a mosaic style, effectively illustrating the mission of this organization. Dollar Energy asked us to create a branding system for three existing applications with a new, modern look, while also adapting the applications to function well on tablet devices. The logo we developed uses Dollar Energy’s established corporate colors. It evokes the company’s main logo by using one of its shapes to create a chain link, representing the applications’ purpose: linking needy clients to important services. In addition, we created a logo usage guide, as well as a style guide that addressed every design element used in the applications. 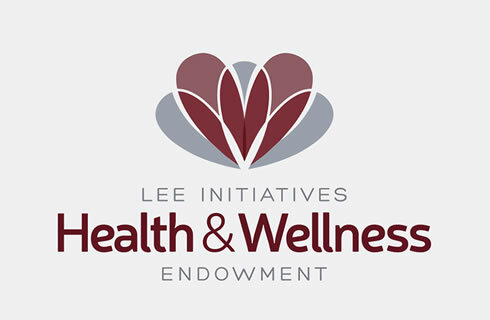 Lee Initiatives came to us for a corporate identity for their Health & Wellness Endowment. The logo needed to show that the endowment is an initiative to improve care facilities, and that the goal of the endowment is to reach out to regional care facilities to improve the lives of those they serve. We responded with a design in the shape of a blooming flower, representing life and growth. Tucked neatly in the center of the mark is a heart, a traditional symbol of care and compassion — thus, showing Lee Initiatives at the center of communal growth. Located in south-central Pennsylvania in Fulton County, Burnt Cabins Grist Mill is a historic, working mill that dates from the 1840s. 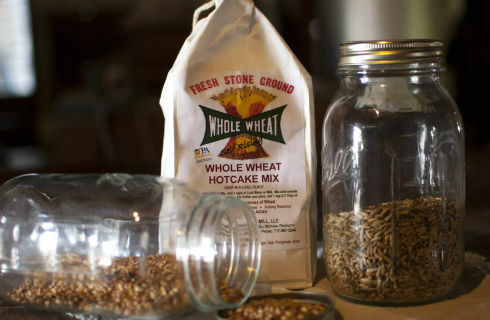 This unique tourist attraction offers tours of the mill as well as a campground, and sells the mill’s flours and pancake/waffle mixes both on-site and through e-commerce. They came to Prime Design Solutions for improved photography for use in e-commerce and other applications, as well as postcards to promote the tourism and product sides of their business. 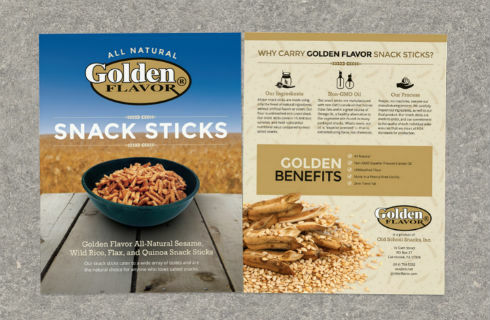 Old School Snacks manufactures Golden Flavor brand sesame sticks, a salty snack made with organic, non-GMO ingredients that holds a higher nutritional value than many types of snacks. They came to Prime Design Solutions for a general sales brochure, as well as a flyer to market their products to distributors. The clean, appealing pieces we wrote and designed were based on the existing Golden Flavor logo, highlight their competitive difference, and help further their brand. East Hills Power Wash provides pressure washing services to residential, commercial and industrial clients. Prime Design Solutions developed a series of print pieces for the business that included a general sales brochure and a sales sheet that present the firm’s services in a professional, attractive manner. The thank-you card (for which we also did the photography) is warm and personal, highlighting one of the company’s competitive advantages of providing personal service. Mint Capital Advisors, a Johnstown-based financial planning firm, came to Prime Design Solutions for a new corporate identity. The resulting round logo, the shape of a coin to echo the “mint” name, was inspired by the style of a wax seal. Classical elements repeat throughout the mark, which is rendered in a mint green color. The result is conservative yet modern, effectively communicating the firm’s ability to grow wealth. 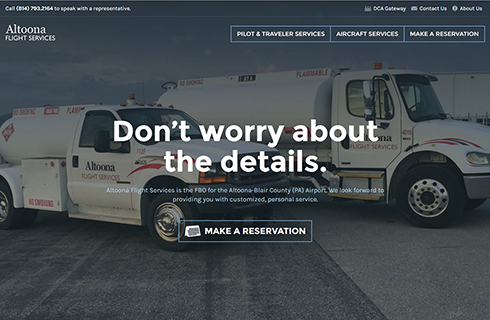 Altoona Flight Services is the fixed-base operator (FBO) for the Altoona airport, and came to us for a new website. We responded with a fully-responsive site that provides clear and concise information about their services, including a reservation form for arrivals/departures, rental cars, motel rooms, and other services. Altoona weather is continually updated on the site’s home page, and links to important aviation sites are prominently included. 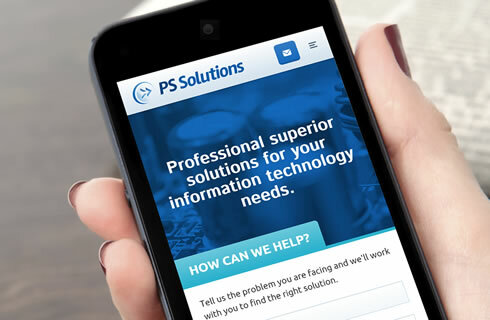 PS Solutions, an IT firm with locations in Altoona and Pittsburgh, came to Prime Design Solutions for an identity redesign and a new website. Our identity design paid tribute to their previous logo, while giving it an update to better suit their technology-driven business model. Subtle changes to the type font completed the look. Built in WordPress, the new website is fully responsive, and includes a content management system, custom Google maps and a contact form. 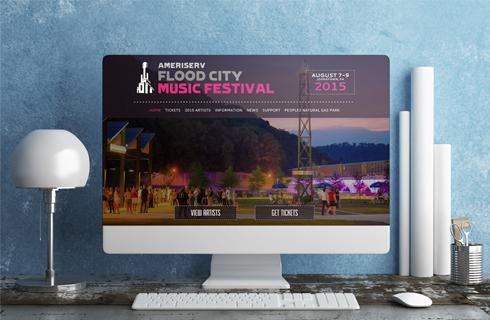 The AmeriServ Flood City Music Festival approached Prime Design Solutions for a new, mobile-friendly website that would appeal to past fans, while immediately impressing music lovers who aren’t familiar with it. We developed a responsive site that uses photography prominently throughout, as well as a news section and social media feeds (Instagram, Twitter and Facebook). The design makes effective use of the festival’s logo and bright color scheme. We launched the site one week before the festival announced the first 15 artists on the 2015 bill. Site traffic immediately tripled — before the lineup was announced. Further, the bounce rate plummeted, indicating that people are visiting more than one page. 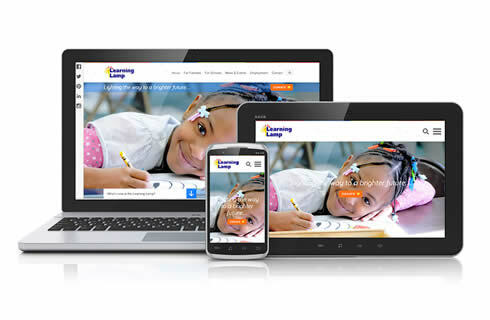 Prime Design Solutions developed a website for The Learning Lamp, a Johnstown-based non-profit agency that annually serves more than 13,300 Pennsylvania children in 75 school districts. The WordPress site organizes a massive amount of information about the agency’s many programs for families and schools in an attractive format. It includes links to social media, a news feed, and links to Google Maps to help users find the many different daycare and after-school program locations. The website includes private portals for parents, students, teachers, substitute teachers, board members, and employees. These portals serve custom content and resources to authorized viewers based specifically on login type. Bike the GAP is a tourism service that arranges custom, self-guided bicycle trips along the Great Allegheny Passage. 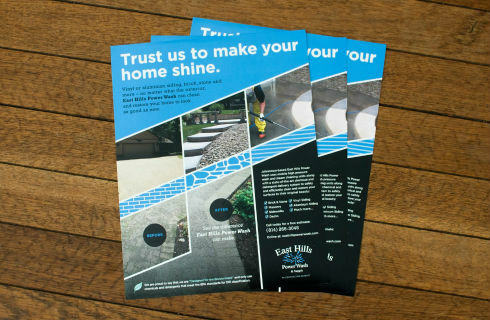 They came to Prime Design Solutions for a self-mailing brochure, and a website solution that would allow them to showcase their services and take reservations online. The mailer and website are designed with the same look, featuring warm colors that evoke the outdoors. Special features of the website include trip pages that highlight various routes and itineraries, custom forms for trip reservations and luggage transfers, a photo and video gallery, and integration of the company’s active social media marketing. The site, which was developed on the WordPress platform, includes a custom content management system so that it’s easy to update. A mobile version of the site is available for those using smartphones and tablets. 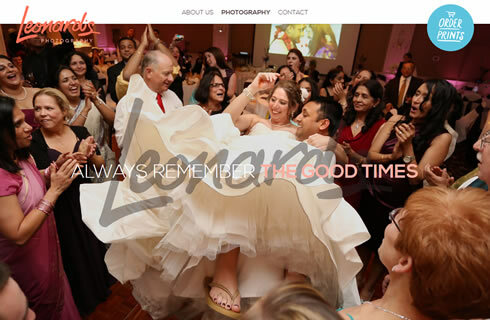 Leonardis Photography has built their business and reputation around their ability to capture the momentous moments in people’s lives. We wanted their new website to embody not only the beauty of their work, but also the sentiment that accompanies it. Hand-drawn elements sprinkled throughout the site provide a personal touch, while a well-organized layout and simple navigation allow the photography to take center stage. 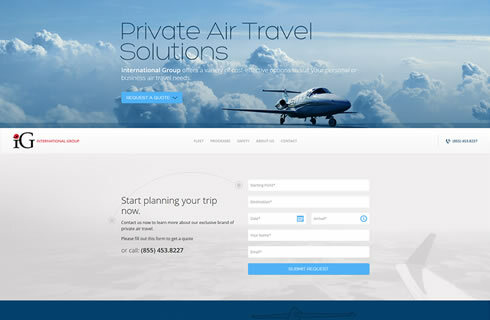 International Group is an Altoona, PA-based charter air service that has recently expanded. They needed a website solution that would appeal to prospective clients while clearly and succinctly explaining the various charter options available. Our solution was custom-built in WordPress, and includes a content management system so staff can easily update it. The site is clean and attractive, with extra attention paid to usability, and includes a reservation tool so users can immediately begin the booking process. 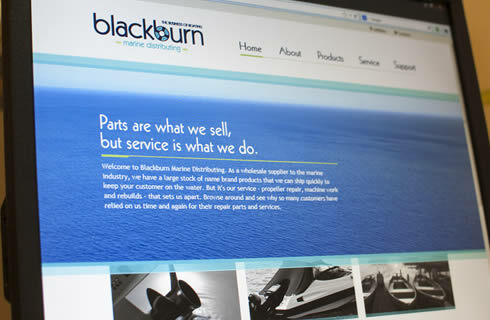 In business for more than 30 years, Blackburn Marine Distributing is about as far from a “start-up” company as it comes. They came to Prime looking to take their branding and marketing to a higher level. Logo design, corporate brand guidelines, a website, print collateral and more gives their company a premier look and raises them yet another step above their competitors. 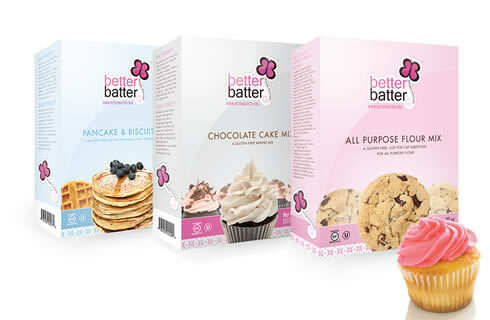 Better Batter Gluten Free Flour came to Prime Design Solutions with an existing brand identity that they were looking to evolve as their company experienced substantial growth. We have since developed their identity throughout a wide variety of web, print and identity venues – including multiple websites, an e-commerce solution, email marketing, product packaging, print collateral and trade show displays. 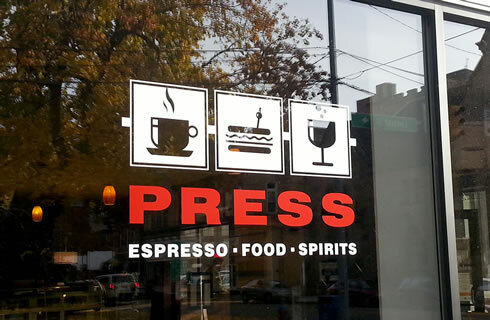 When deciding to expand their business into a second location, Press Bistro turned to Prime Design Solutions to help them create a brand that is strong, easily recognizable and flexible enough to use on everything from menus to t-shirts. To create an error-free and intuitive maintenance process for the website for Goodwill Industries of the Conemaugh Valley, we customized the administration area, resulting in a “bulletproof” backend. 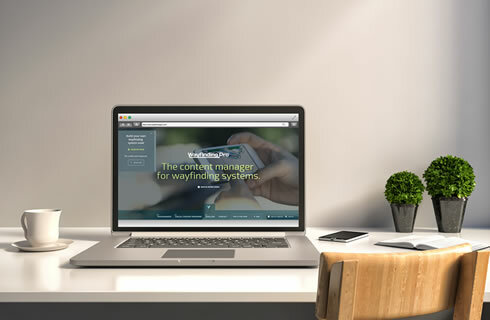 This content management system gives their staff the tools to easily keep all website content up to date. Integrated Google Maps conveniently connect visitors with Goodwill locations across the Conemaugh Valley, while an optimized mobile interface serves up content to visitors on the go.